Awesome Reasons To Bring Your Children Up In Yorkshire - Mummy's Gone Mad! | Mummy's Gone Mad! During their younger years, your children will need a solid base. Finding a region in which to bring up your children is tricky. Often people opt for places near their parents or friends, so that they can have the necessary social support. If you have the freedom to decide where you would like to bring up your children then why not consider Yorkshire? As the largest county in the UK (including Yorkshire and the Humber), the region is full of exciting things for families to do. Whether you want to be a city-dwelling family unit or a country loving bunch, there are many options in the large county. Here are some awesome reasons to raise a family in Yorkshire. Yorkshire is home to the fourth most populous city in England, Sheffield. The city itself has a great deal to offer families and is a friendly, yet exciting place to live. If you decide to bring up a family in Yorkshire you don’t have to live in the city, there are many small towns on the outskirts of larger cities. Places like Goole and Howden are ideal family-centric villages, offering a laid back country life. No matter what kind of place you want to live in, you can bet that Yorkshire has something for you. If you like the seaside then, you might look into living in Scarborough. If you would prefer to live in a market town try estate agents in Stokesley. 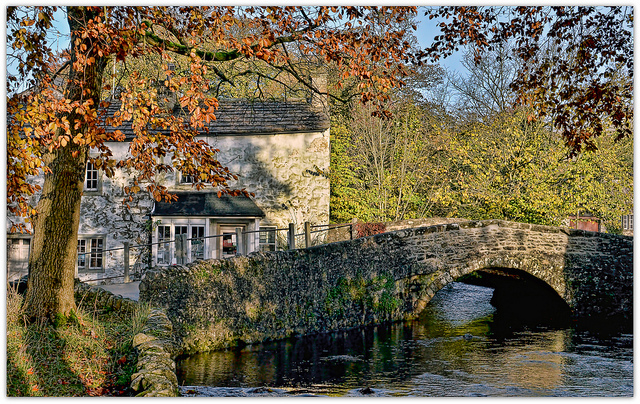 Throughout Yorkshire, you will come across beautiful country walks. Walking is a fabulous family activity, as it is healthy and will give you time to bond with your children. When you live in Yorkshire, you are never too far away from the peak district. So you can always take a trip out and enjoy some authentic wildlife. Take a trip on a Sunday to the peaks and go on an adventure with your family. If there is one thing, your children will love it is learning about new things. Showing your children how fun learning can be from an early age is important. In Yorkshire, there are a range of great museums you can take your little ones to see. From Eureka in Halifax to the Railway Museum in York, there are loads of exciting, fun museums to visit. Living in Yorkshire opens up a world of new experiences for your children, just because of the amount of things that are around. Unlike many counties, the air in Yorkshire is quite clean. The wealth of greenery within the region means that you will not have as much pollution where you live. Having cleaner air is great, as it will mean that you and your family will live longer and have a healthy lifestyle. Of course, in the major cities there will be a little pollution, but the people of Yorkshire are working hard to combat the problem. In Sheffield, for example, researchers have developed a material that can absorb pollution. The material currently hangs on a building in the centre and takes in much of the pollution from passing traffic. Sheffield is already the cleanest city in the UK, so this material can only make things better. If your children happen to be adventurous then, Yorkshire is the ideal place for your family. Climbing is one of the most popular hobbies in the region, as there are so many peaks on which to practice. Your children will love the experience of learning to climb a sheer wall. Make sure that you invest in good climbing equipment before you let your children climb. Proper equipment is essential to their safety.